Explicitly not free for architectural magazines, books and commercial use. Every Vegetarian’s dream is now in Fiji as the Radisson Blu Resort Fiji officially launched Fiji’s First Modern Vegetarian Restaurant called ‘Wild Thyme’. This new and exciting food and beverage concept offers a modern vegetarian dining experience that gourmet-minded vegetarians crave but rarely encounter in Fiji. With delectable à la carte menus paired with vegan wines and bespoke cocktails, both vegetarians and vegans are catered for in the intimate setting by the hotels beachfront. The Wild Thyme menu is ultimately plant-based for vegetarians and vegans, immersing in an array of exotic flavors with a modern and stylish twist to the presentation of meals. All dishes are prepared freshly upon order, using authentic recipes with the finest local ingredients. Delivered with impeccable service among intimate tropical surrounds, it is truly a modern dining experience first to Fiji and open for all. “For non-vegetarians this is your chance for an exquisite dining experience keeping it meat free, be daring and try something new at Wild Thyme,” says Andreas Reinhardt, executive chef at the Radisson Blu Resort Fiji. 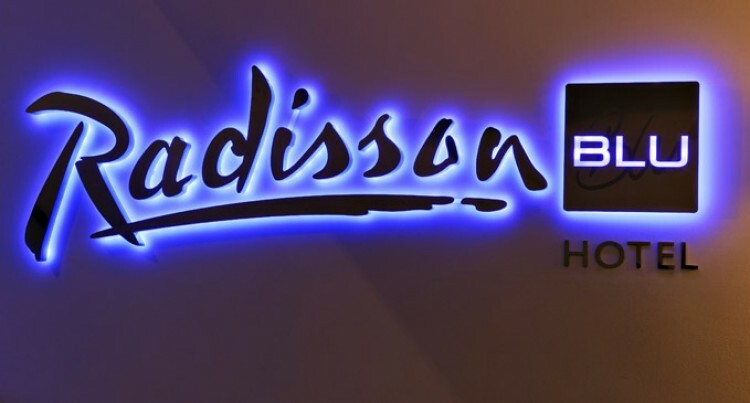 On Thursday, April 28, members of the Radisson Blu team welcomed media and industry partners to the official launch of Wild Thyme led by executive chef Reinhardt. Invited guests mingled during cocktails prior to the sit down three course dinner beginning with a crispy broccoli and spiced yogurt appetizer, selection of entrée, choice of main dishes followed by dessert using local chocolate and ingredients. Some of the appetizing dishes include heart of palm salad, flaky goat’s cheese filo and homemade gnocchi which are among the chef’s favorites. Able to sit 18 people at a time, the restaurant offers both adult only and family dining to accommodate guests. “The anticipated launch of Wild Thyme was a success and we received excellent comments on the tasty vegetarian dishes by our invited guests,” said Reinhardt. “It is an exciting and unique dining concept foreign to Fiji and we are also able to cater for our vegetarian and vegan guests who stay at our hotel.